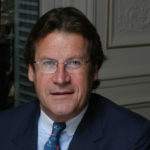 Christian Baillet joined the JustWorld Board of Directors in 2013. Christian, Chairman of Quilvest, joined Quilvest in 1978 and has since been one of the foremost private equity professionals active on both sides of the Atlantic. He launched Quilvest’s direct private equity activities in the United States in 1979, and in Europe and Asia in the mid-1980s. Christian has been the CEO for two decades of Quilvest Banque Privée in Paris, and of Quilvest Switzerland in Zurich. Christian also served as the President of the Jumping Owners Club. The Jumping Owners Club (JOC) is a representative body which has been created to provide a method of communication between horse owners and the FEI, as well as to provide a platform for owners worldwide to share their common passion of equestrianism. Christian is a graduate of the Ecole Centrale de Lyon and holds an MBA from the Wharton School, University of Pennsylvania. He is married with three children. Christian’s wife Denyse is is also heavily involved with JustWorld, serving as the President of JustWorld Europe.